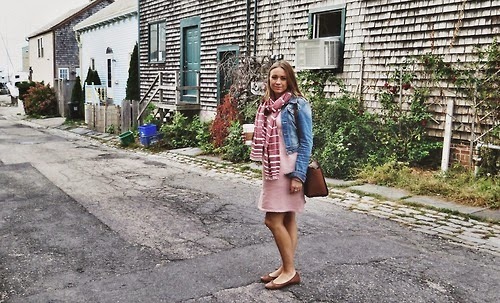 I loved this casual outfit for exploring the town of Newport. 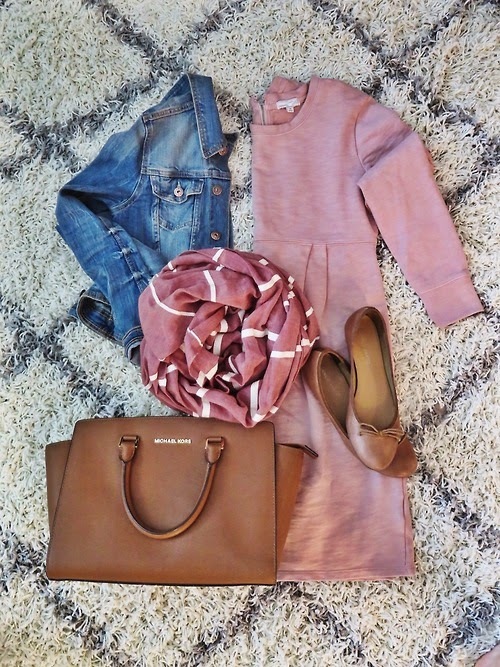 I recently purchases this blush pink maternity dress from the gap which was on sale - I love it. It is a sweater dress and very comfortable - It is a Piece that I will be able to wear when I am not pregnant also. I paired it was my Zara Jean jacket and this cute maroon and beige scarf from the gap. I wore brown ballerina flats that I purchased from DSW - Which are Franco Sarto and a Michael Kors bag. Gap Textural Striped Scarf - Also currently on sale.